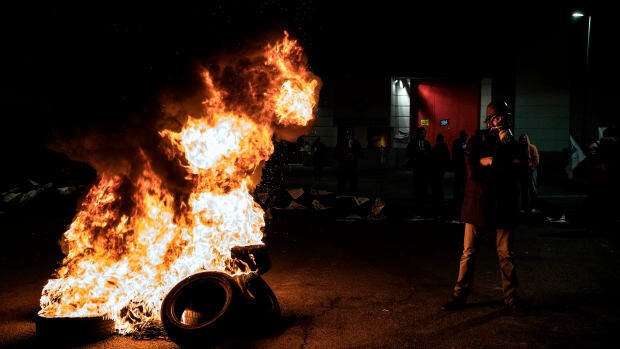 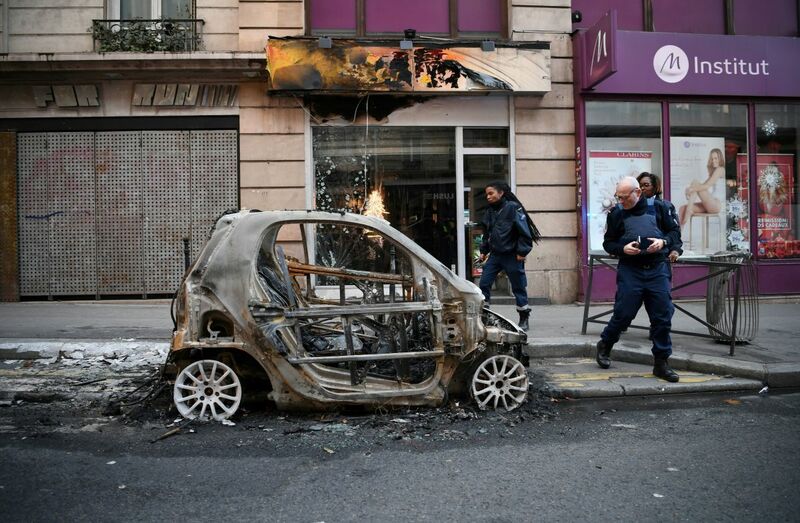 Police look at a burnt car in Paris, France, on December 9th, 2018—one day after "yellow vest" protests rocked the country. 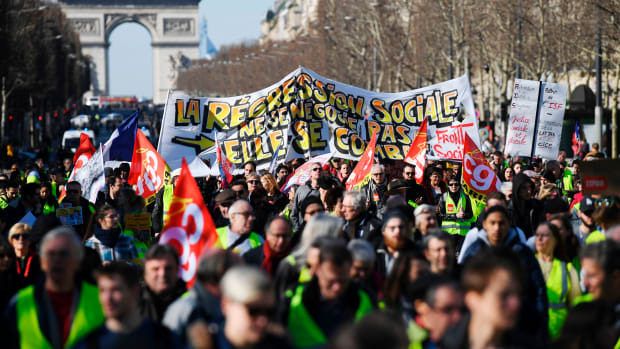 More than 1,700 people were arrested across France during the latest "yellow vest" protests against rising living costs. 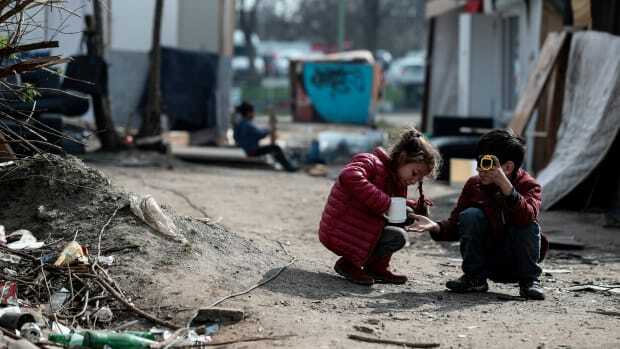 Children play in a camp of the Roma community that was attacked during the night of March 25th in Bobigny, near Paris, on March 27th, 2019. 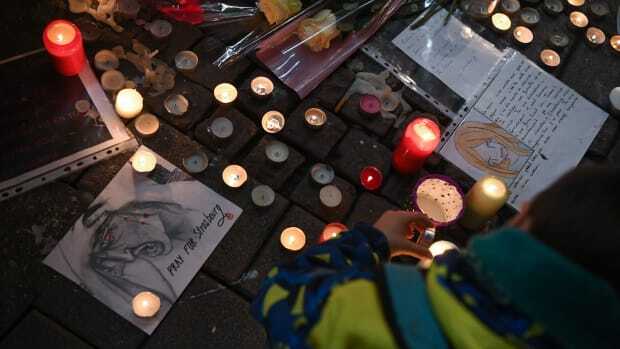 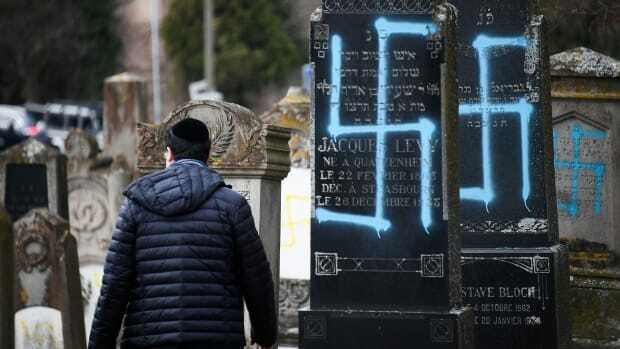 A man walks by graves vandalized with swastikas at the Jewish cemetery in Quatzenheim, France, on February 19th, 2019, the day of a nationwide march against a rise in anti-Semitic attacks.